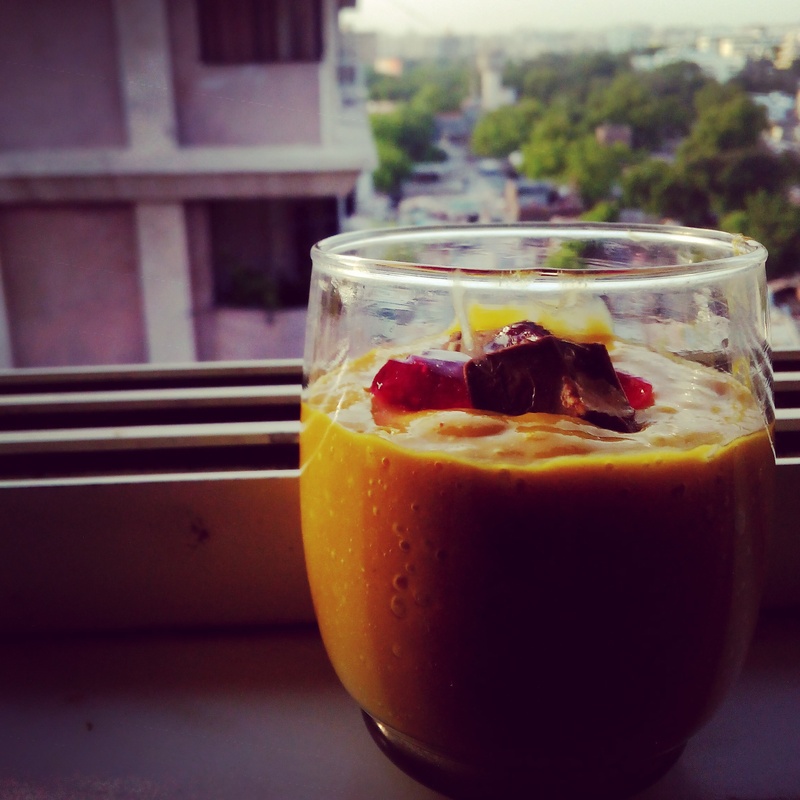 If you are someone who cannot get enough of mangoes, here i write y’all this recipe to enjoy this seasonal delight in one more form. This comes basically from my granny’s kitchen and I hope you like it as much as I do. 1. Blend a few drops of water, mango pieces and fresh cream in a bowl. 2. Add honey or brown sugar and vanilla essence. Blend it all until it becomes smooth and consitent. 3. Pour this smooth mixture in a clean glass. Refrigerate it for 40 minutes. 4. Garnish the drink with nuts, chocolate chips and jelly. 5. Enjoy your Mango Mousseline!